Outlander book lovers who also love the show have a tendency to demonstrate their love by bashing the show with a large tree limb whenever it diverges from the books which, admittedly, is a lot. We all know that the show is an adaptation of the books but we don’t all believe that an adaptation isn’t required to be faithful to the books that gave it life. I think we, sometimes, fail to appreciate that the book left the hands of one artist and landed in the hands of multiple artists who have their own interpretations of the material. Would we call someone an artist just because he could faithfully reproduce the Mona Lisa? Probably not. We don’t need another Mona Lisa, we’ve already seen that. What we need are new portraits, new landscapes to inspire emotions and set fire to places deep inside us. That’s how I view Outlander the show; it’s a reinterpretation of the story that Diana Gabaldon wrote. If you want a faithful recreation of thousands of pages of text, get the Audible version of the books, listen to Davina Porter’s heavenly narration, and imagine the scenes in your head. If you’re willing to risk the show that is for the sake of the books that ye once knew, then buckle up for Season 4. It’s going to be fabulous. In the spirit of taking pretty much whatever the show runners give us and falling deeply and madly in love with it, except maybe for that hokey Jamaican version of Craigh Na Dun in Season 3 ( it looked like something from the original Star Trek), I give you the only Season 4 plot twists and character changes that I am unwilling to accept. I’ve seen comments on social media that Rollo is too small. He should have been a Wolf Hound rather than a Northern Inuit. I, personally, imagined Rollo as a wolf/dog mishmash and the dogs cast as Rollo look the part to me. I can actually think of several dog breeds that would have worked well here. What wouldn’t have worked is changing Rollo from a wolf-dog to a raccoon. I think there are more raccoons running amok in the Carolinas than wolf-dogs and, occasionally, they tolerate domestication. For bonus points, ask me about my Great Aunt Francis’ pet raccoon named Bandit. The Tuscarora tribe from the books has been changed to Cherokee and the name of “Nayawenne” has changed to “Adawehi.” If you haven’t already seen it, the explanation is that the Tuscarora were extinguished from the Carolinas in the mid-18th century and there is little visual evidence on which their costumes and appearance could be based. The Appalachian Mountains are full of mountain lore and one of those tales involves a population of red-haired giants who once lived there. Lending this tale some credence is the fact that, over the years, several human skeletons greater than seven feet in height have been uncovered during construction projects. The only plot twist that I will not accept regarding Jamie and Claire’s Blue Ridge neighbors is that they build a relationship with these ginger giants rather than Native Americans. Also, Ginger Giants would be a great band name, but I digress. We won’t see the actual Blue Ridge Mountains on the screen! I feel this one, deeply. I am a child of the Appalachian foothills and my Scottish, Irish, and British ancestors lived in those mountains for 200 years before venturing into central Kentucky. 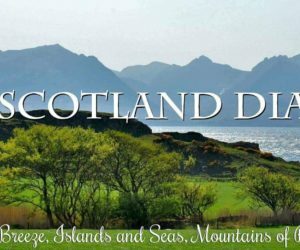 However, since all of the filming is taking place in Scotland, I’m sure that it didn’t make sense to come to the States just to shoot footage of the mountains. When you long for images of the Blue Ridge, keep in mind that there is a reason the Scots remained tucked away in this area for so long. It reminded them of home. Having recently returned from a trip to Scotland and with a lifetime of Appalachian views in my mind, I can say that I’ll be happy to see the Scottish Highlands stand in place of the picturesque Blue Ridge. The only way I’m upset about a location change is if Ronald D. Moore decides that Jamie and Claire need to restart their lives out west in the Sonoran Desert. Jamie might be the King of Men but I don’t think even he is ready to wage war with scorpions and cacti. 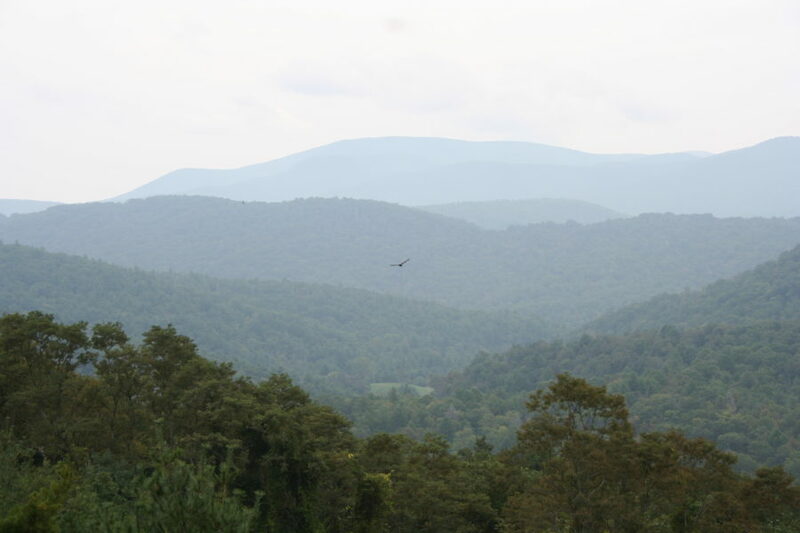 These are the actual Blue Ridge Mountains. Enjoy the majesty! Ya’ll have picked that trailer to the bones. One ring is different. One is missing. It’s going to be all right guys! The only way it won’t be ok is if Claire loses all her fingers in a tragic woodcutting accident (Jamie said move away…she thought he said move with me…terrible misunderstanding really) and she’s forced to gauge her ears so that she can still “wear” both rings. On a positive note, Claire goes on to open the first hipster coffee house/brew pub in western North Carolina. I’ve read so many things about Ed Speelers. He’s too pretty. He doesn’t “sound” Irish. Why would Lord Grantham ever let him leave Downton Abbey? We already know that he’s being promoted as season four’s villain so let’s assume he’s going to be perfectly dastardly. The only way I won’t accept his character is if he meets up with Jamie and Claire, declares his lifelong love for domestic service, and turns the Fraser’s Ridge cabin into a posh little Bed and Breakfast which realizes a sizable annual profit for the Frasers. If you’ve gotten this far, I need you to know that this was intended to be a cheeky take on my hopes for Season 4 of Outlander. The truth is that, while the deviations from the book might sometimes make me cringe, I see them as part of one fabulous Outlander package. 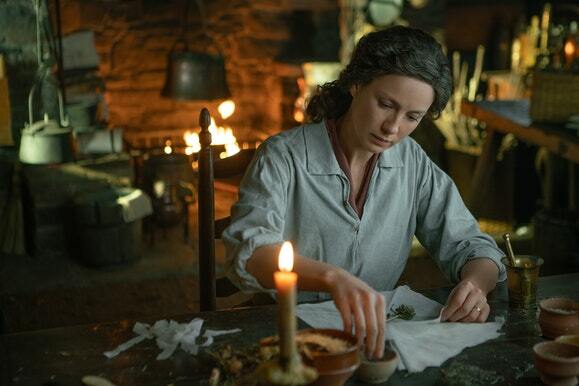 As long as Ronald D. Moore and his team of writers are willing to devote their blood, sweat, and tears to this story, then I will continue to get my Jamie and Claire fix. If Jamie’s personality is a little off, or the quotes that we’re waiting for come to us a bit out of chronological order (or a little rearranged) I’m going to be fine and I hope you will be too. As long as I get to share one more adventure with Jamie and Claire, I’ll be one happy Outlander fan(atic). Are you ready to Brave the New World? How do you feel about the adaptive choices that sometimes take Outlander the show in different directions than the books? Are you a by-the-book show watcher who dislikes deviations from the source material or are you ok with the changes made by the show runners? I have no problem with changes from the book. I kinda look forward to being surprised by them. (e.g. the 20th century part of Ep 201). As long as the changes still keep the spirit of Outlander and hit the high point of the story, I take no issue. 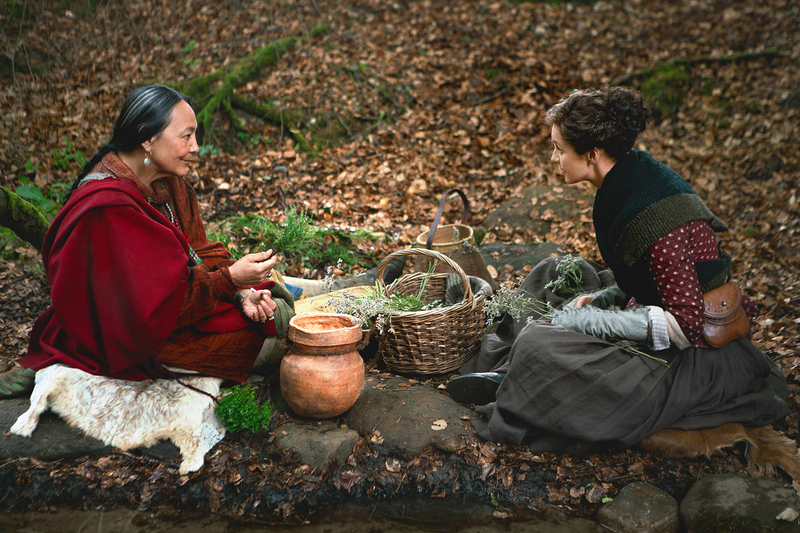 Ep 103 was made out of whole cloth, but it FELT like Outlander. 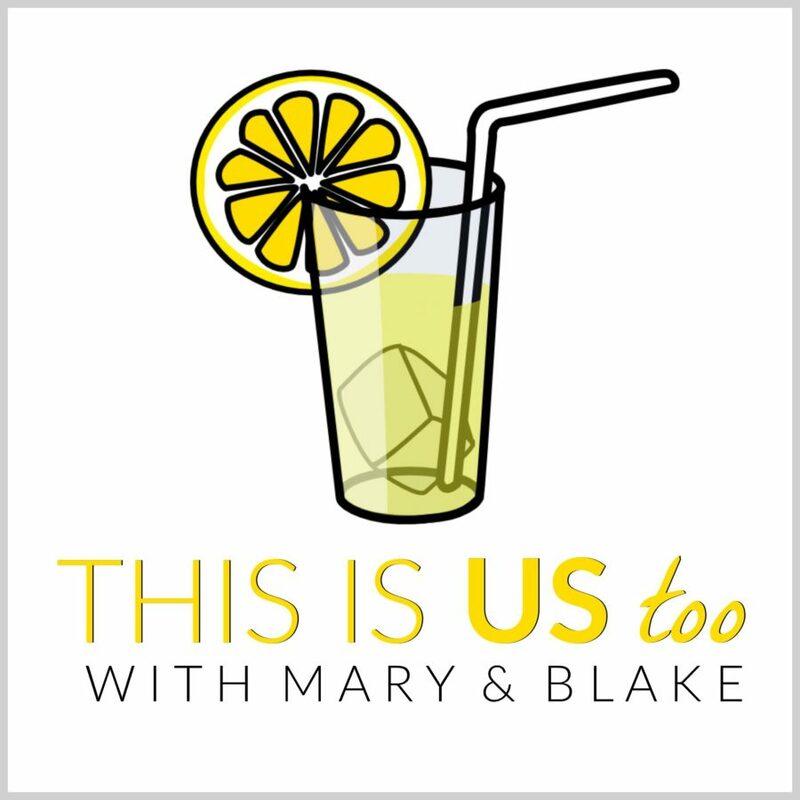 Jamie’s part of Ep 310 – Heaven and Earth- I didn’t care for because it didn’t FEEL like Jamie. 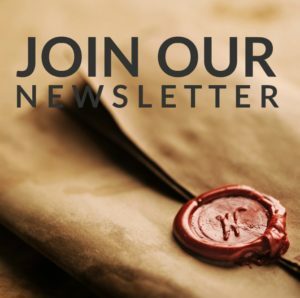 Changes for changes sake–no; changes for story or other practical reasons, but that still feel true to the world of Outlander–definitely yes. So looking forward to Season 4!! Thanks for taking the time to read and comment. I really do appreciate it! I agree completely about changes. When I can see that the changes are made in order to advance the story or in order to give us some insight into character motivations then I’m cool with them…kind of like that post I wrote about Jamie in the Print Shop. I actually love the diversions from the book because it is an artistic interpretation. When Murtagh didn’t die at Culloden, I thought it odd, but slightly exciting to know we might see him again. I love the show because of the show, not necessarily because of the books. Both stories are breathtaking and brilliant. My kids already have told me I am too obsessed – I just started reading/watching in June. I love them together and I love them apart from each other too! Right?! I had the same thoughts but, like you, I really can’t wait to see where Murtagh pops up in the colonies. The crew has done an excellent job of keeping him under wraps. I choose to put the book aside in order to enjoy the show. There are times that things make me cringe, but over all, it has been a grand adventure: the scenery, sets, costumes, and Sam and Cait are magnificent as J&C. And then, there are changes that I greatly enjoy, Frank’s character being the biggest. In the book, Frank is more or less a footnote for me– the adventure and escape are through the stones and then with Jamie. But both the story line and Tobias’ portrayal (the scenes between him and Cait were just sooo good), hooked me. I love that phrase “put the book aside in order to enjoy the show”. That’s really beautiful and an excellent way to enjoy both. I’m not a huge fan of Frank but do agree that Tobias plays him exquisitely! Nicki, I am also fine with the changes. In over 20 years, nobody dared to tackle this story. It was left untouched. Ron Moore has been very good with the adaptation. In my opinion, the cast makes a big difference. I could not imagine Jamie and Claire better portrayed, even though we know they are not book-Jamie and Claire. Those are, and will always be in our minds. Nicki, I also live in central Kentucky. Lexington, actually! I’m happy to know there’s someone I can talk Outlander, who lives nearby. I watched the first few episodes of Season 1 and then stopped so that I could read the books. Having already seen the characters on screen, Sam, Cait, Tobias, and all the others have always been who I imagined and I’m kind of happy about that. They really are perfect. I’d like to see flashbacks of Frank teaching Brianna to ride and shoot. If that happens I’m ok with Rollo. ? I think we will definitely see Frank in some flashbacks. Can’t wait to see what he’s up to! Move away……move with me…..oops! You’re hilarious….many thanks! I love love love this tongue in cheek take of the differences! Made me laugh so much. I have never had a problem with the differences. The book is the book…The series is the series. I mish mash the two together and enjoy both. The books go into greater detail than the series can and that is wonderful. Sometimes a scene or a happening is much different from book to series and, to me, it’s fun to see or read a different take of that scene. An adaptation is just that and to have an expectation that all will be the same and every bit of a huge book contained in 13 – hour-long episodes is just trying to contain the wind! Impossible. Likewise, things in the book may not adapt or lend themselves well to film. I leave that to the genius of Ron Moore and all his cohorts. I have been and will enjoy both and be thankful I have both available! And by the way – Claire mistaking Jamie’s “Move away” for “Move with me.” ….. Priceless! Thank you so much Melanie! I was really worried that my sense of humor would not translate and I’m thrilled that people have found it to be giggle-worthy! I’m with you on the changes. I enjoy seeing how the writers accept the challenge of converting these huge books into a 13 episode season. It really is amazing! Fun read, thanks! I find that repeated viewings of the TV versions are needed to cleanse the palate, so to speak. After 2nd viewing I am no longer surprised by the deviations from the books and can start to appreciate the actors’ and TV writers’ interpretations. Yes, this requires repeated viewings. Such a hardship! Laurie, I love your point about repeated viewings. I was just rewatching a couple of Season 3 episodes this past weekend. On my first watch, they were my least favorite of the season and, by the time I was finished, they were among my favorite. I love rewatching and finding new little things to fall in love with! Enjoyed your “cheeky” article immensely! I am a book fan that never thought I’d see this complex series of books make it to a screen. I enjoy the show and adaptation of the story without concern or criticism. I applaud Ron D Moore, company, actors and crew for their excellent work and dedication to providing a quality show. I can only imagine how exciting it must have been for bookreaders when they found out the show was being made. How cool! Thank you for your commentaries. They are sensible, show a thoughtful understanding of the differences between printed word and a visual medium, plus they are quite amusing. On another note, I live in Appalachia, eastern Kentucky specifically. 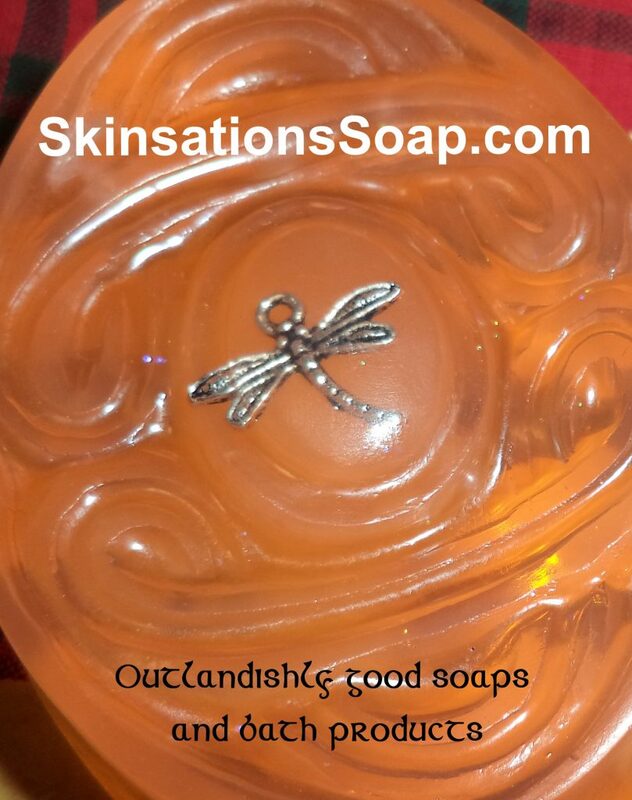 I was wondering if there are any Outlander groups around my state? You mentioned moving to central Kentucky. Are you still located here in the Bluegrass state? Hey Allison! I grew up in Central Kentucky (Garrard County) but moved to Michigan more than 20 years ago. I still think of myself as a Kentucky girl though. My ancestors lived in and around Harlan. I’m with you! The books and show are completely different, yet related experiences, both wonderful! You do know that I smile whenever you comment…right?! I love Outlander no matter what. Drums of Autumn, Season 4 will be totally awesome! 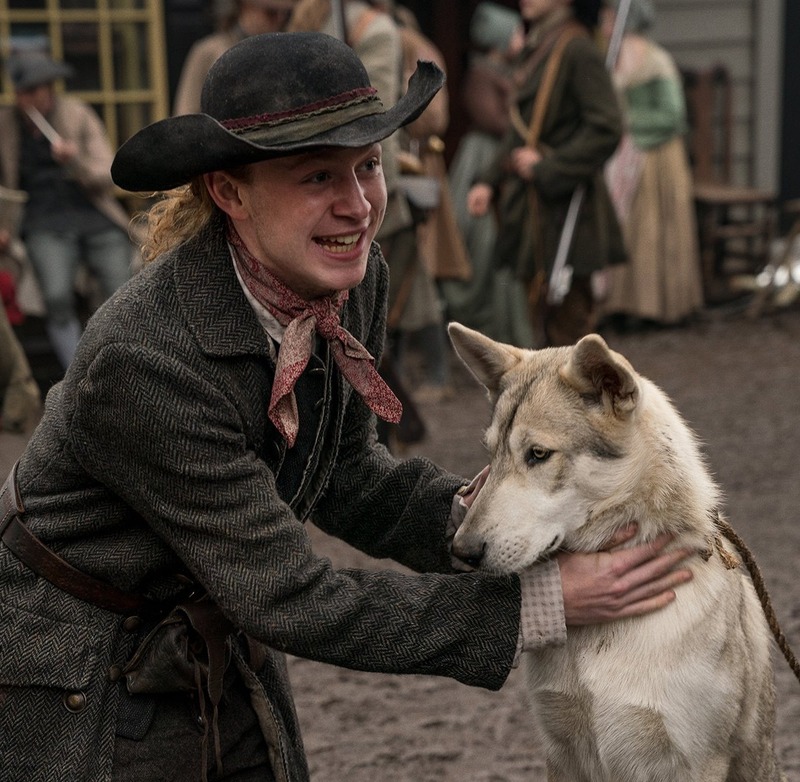 It is full of adventure, danger, courageous people (of course Jamie and Claire), a loveable dog, a mischievous nephew who knows more than he lets on, a bad guy. Bring it on -Nov. 4 – we’re ready for the pioneering life of Jamie and Claire, their love for each other, and the experiences they will face. OMG Rhona, you need to be writing the promos for Starz! That description sounded like a cross between Scooby Doo and Little House on the Prairie and I would totally sign on even if I’d never heard of Outlander! I usually don’t mind the changes between the books and the show. The only one that really disappointed me is when Jamie saw the photos of Brianna, he didn’t “fall to pieces” like he did in the book. It’s one of my favorite parts of the entire series, and I realize it’s all an interpretation of the book material, but I was super unhappy at that deviation. Yeah, I can usually rationalize things on behalf of the writers but that one was difficult for me too. I don’t like changes to the book. I understand that some are necessary. Books don’t always translate to tv. Things need to change or be moved around or left out. I am fine with that. I don’t like personality changes or major plot changes though. There’s a reason Diana has sold so many books. They’re brilliant! They shouldn’t try to improve them. They are perfect the way they are. I’m with you! I was especially disappointed in what I perceived as the butchery of so much of the last episode of season 3. I would have been happier if they had done away with some of the “fleshier” scenes of the Reunion in favor of not chopping up the ending so badly. The books were the beginning of this adventure and they are great! Davinia Porter has given us an unbelievably wonderful audio interpretation. 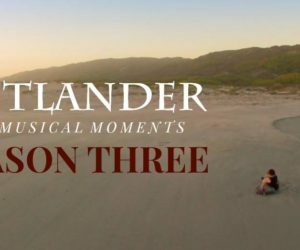 Outlander the show has given us more layers and details that make the journey even richer…….and even more fun! We can learn even more from the incredible details in the show. The characters have been so carefully chosen and we have more people from the story to fall in love with. Young Ian was great in the books, but this TV character is so perfect! I can’t wait to see him with Rollo. And waiting for the return of Murtagh! So it’s all great and I agree with you. Season 4 will be just as fun as every other season. Thanks for a fun review! I am a book fan who is fine with most of the changes. As many people have said, “the book is the book and the show is the show.” The only book-to show change that was so glaring as to be unacceptable to me was having Laoghaire testify at the witch trial and for Jamie to know her role in Claire’s arrest and marry her anyway. I think that the show runners tried to smooth it over by having Jamie thank Leoghaire for her help in the Fox’s Laire episode. Bleh…there’s not enough sandpaper in the world to smooth that over for me! “If Jamie’s personality is a little bit off…” That’s the understatement of the century! Ron Moore has declared outright that Jamie will not be the hero, and it’s obvious that Claire’s role has been enlarged and centralized in the TV series. It’s become so extreme that the producers are putting Cait up on blocks so she is as tall as Sam (who is 5″ taller, plus boots). That clip from the trailer where she is “teaching” him about America and he looks like he’s in a position to be nursing at her breast is so disrespectful of The King of Men that many would-be fans of the series who know these characters by heart from Gabaldon’s books are appalled. We’re not ignorant of changes necessary in a filmed “adaptation”, but wholesale slaughter of the characters of the two main people in the story is beyond disappointing. I agree! I’ve read several pieces in which the writer claims that Jamie is being “emasculated” in the series by making him too passive and giving Claire much of the dominant role. While Claire is a modern woman, she is still existing in the 18th century, where social mores were very, very different. She fell in love with Jamie, the Highland warrior; to change him into a character more like Frank is doing him an injustice. I don’t mind changes. Most of the time, I think the show improves on the events. 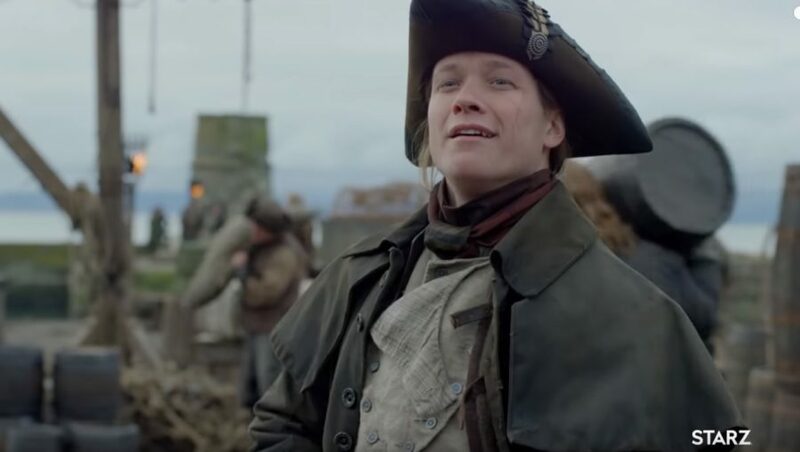 I was disappointed when Claire didn’t meet John Grey on the ship. I just hope they don’t skip over the visit early in the book. The one at the cabin. Book readers know what I’m referring to. One thing I’d really like to see is interaction between Lord John and Murtaugh. When things fell apart between Jamie and John at Ardsmuir, Murtaugh would’ve been the only person he’d tell why. We know how protective he is of Jamie. When they were forced to part ways at Ardsmuir, can you imagine what Murtaugh was thinking? That John was taking Jamie off to do unspeakable things to him. And Murtaugh hasn’t been told anything different in the decade they’ve been apart. So imagine his shock upon hearing that in his absence that John Grey became his best friend. He’d feel replaced. I also want to see how Murtaugh and John interact, just being so different. I’d like to see a little rivalry, wanting to be Jamie’s most valued friend. OMG…of all the Murtagh scenarios I’ve considered, I’ve never thought of those but now you’ve got my pea brain reeling!!! Totally agree, the books are wonderful, but I am happy to go along with the series for the ride, changes I have appreciated:- Mr Willougby, I enjoyed the screen version and loved his HEA, Frank, I always felt kind of sorry for him in the books, he did nothing wrong but he lost the love of his life (not so sorry that I wanted him to have his HEA with Claire), but still , poor sod didn’t have a happy life and of course Murtaugh when I first heard his voice in series 3 I thought Jamie was conversing with the ‘other side’. Can’t wait to see what they have planned for us all this season, roll on November 5th (UK). I have no complaints about most of the adaptations. Leaving out some things and maybe giving a few lines to a different character seems to be necessary if the story is to fit the time constraints. I wonder if we can make the transition to the “cheerful psychopath” Bonnet is said to be. Even in the books there were touches of humor about him and perhaps we have enough raging bloody psychos on other programs. I rather think he was written as being funny at times–even at his eventual death– to hold our interest . Diana’s villains are not boringly one-sided. Think of Jack Randal whose redeeming feature was his love for his brother and Jaimie, and Dougal, who loved his brother enough to support him, even to not claim his son. And we may think Dougal wrong headed to support the bonnie prince, but it was genuine love for Scotland that supported his belief. Wonderful points about everything Julia! I’m just grateful that the project was taken on by such talented people! The books are one thing and the series is another. I consider them as similar but not exact. I’m never disappointed with what they show me – just happy to see my beloved characters and a good bit of dialogue straight from DG’s written words. Enjoyed your article – witty and interesting!! THANKS! Thanks Reggie and thanks so much for taking the time to comment! Nice article. Always understood that you can’t please everyone when creating a movie or series from a beloved book. I remember the movie “To Kill a Mocking Bird” It did not have all the scenes I anticipated from the book but for me it was the actors that did such a remarkable job that in some scenes the movie was even better that the book. It is the same with Sam and Caitriona. They are the best! I. Love. You. Your writing and wit are marvelous. I totally agree with you! My only two wishes are not switching the “sun came out” line from Claire thinking it when she sees Jamie all glammed up for his wedding to Jamie thinking it of Claire. HATED that! And the Creme de Menthe nightmare. I saw a couple shows before I loaded up on the books. So the actors are who I picture. Love them all??? Thank you for your words!? I can deal with changes to the show storylines, if they work, but the majority of the time they just don’t. What I do dislike is the changes to the characters. We book readers love both Jamie and Claire because of who they are, their personalities, their humour, their beliefs, but the writers have changed Claire into a bossy shrewish know it all, and Jamie is hardly recognisable as a strong, brave Scottish warrior. He sits alongside Claire, as she talks down to him like some school marm with her pupil. EXACTLY! Age should not have changed Jamie’s personality so drastically. Yes, he suffered, but this is supposed to have strengthened his resolve, not turned him into a wuss! They’ve made him into one of the supporting characters, instead of her partner and equal! I cannot wait till book 9 and 10 come out, the series, not so much anymore..it is just ok.
Great post! Will watch for more. We share family backgrounds, right down to Central KY (although in central Missouri last 36 years). Loved the humor – made me laugh on a snowy morning when I should be doing other things!! I have no issue w most of the differences but since I hadn’t finished reading drums of autumn when season four started, I can’t see any reason yet for the show to have killed off Duncan? I feel like the creators have done an enormous amount of work to keep the feel of outlander as a whole. I mean really- so much more happens in over a thousand pages than they could possibly put together in a series. Yet we still feel the fire and passion between the characters and the messages in between. Thank you for this forum to express my nerdy addiction!